The Cultivation Corridor caps the end of its fiscal year by releasing a new annual report each July. Review our annual reports to see where the Corridor is making its mark. Updated on a bi-annual basis, our strategic planning and marketing materials lay the groundwork for the Cultivation Corridor’s future direction. 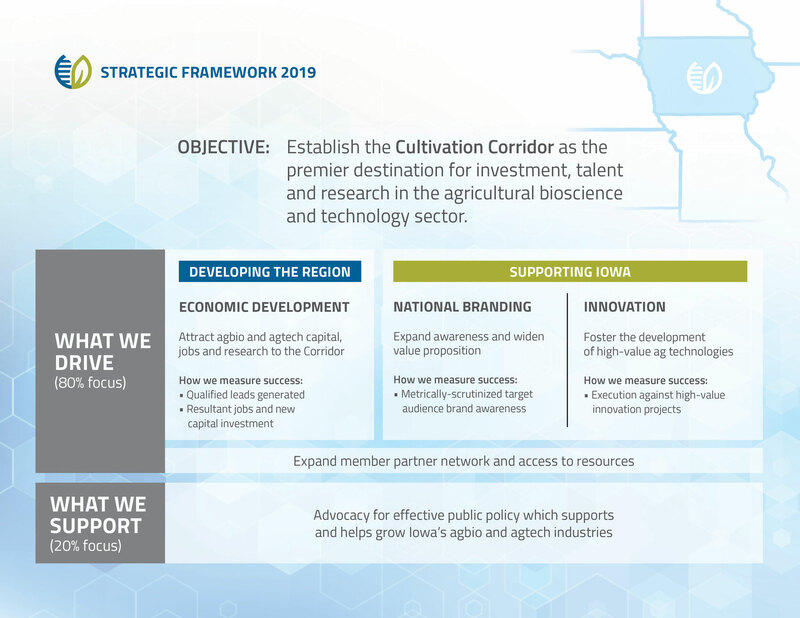 Align your Iowa business or organization with the world’s most dynamic agbioscience region by incorporating a Cultivation Corridor notation in your website and marketing materials. Simply download the file and consult the Corridor Brand Standards Guide for further usage information. Questions? Please contact us.